Hallmark has released their on-line version of their Dream Book for Keepsake ornaments. For Star Wars they revealed additions to the Story Teller line, Continuing Series, Peek buster, Sound, helmet with sound, and LEGO. New for Story Tellers will be the Y-wing Starfighter and the Imperial Star Destroyer. These will go great with Millennium Falcon, X-wing, Death Star, T.I.E. Fighter, and Darth Vader’s T.I.E. Fighter from the last few yrs. The Y-wing and Star Destroyer will retail for $39.99. 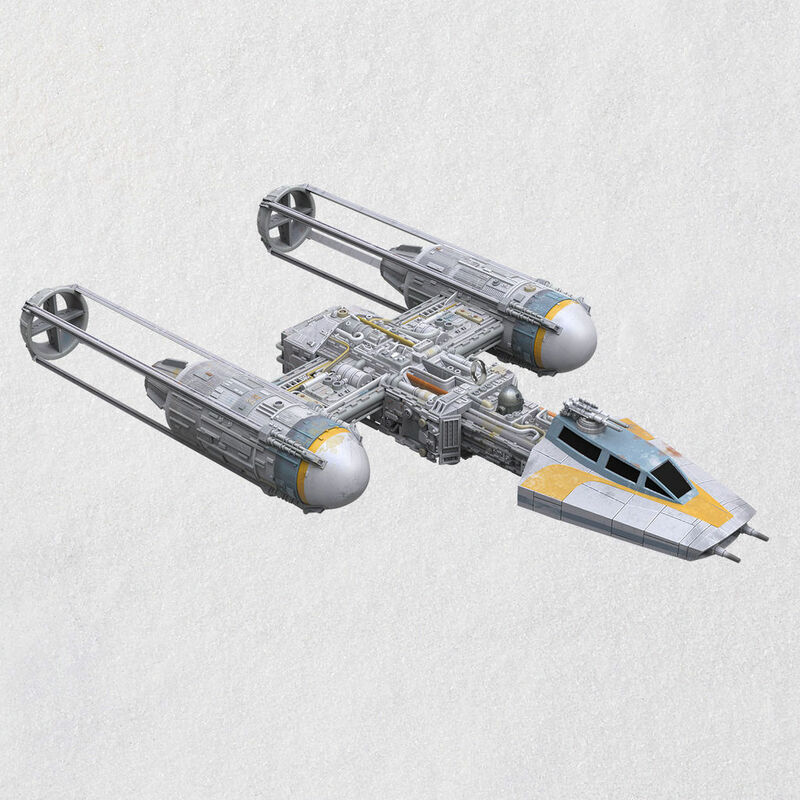 The Y-wing will be available 7/13/19 . 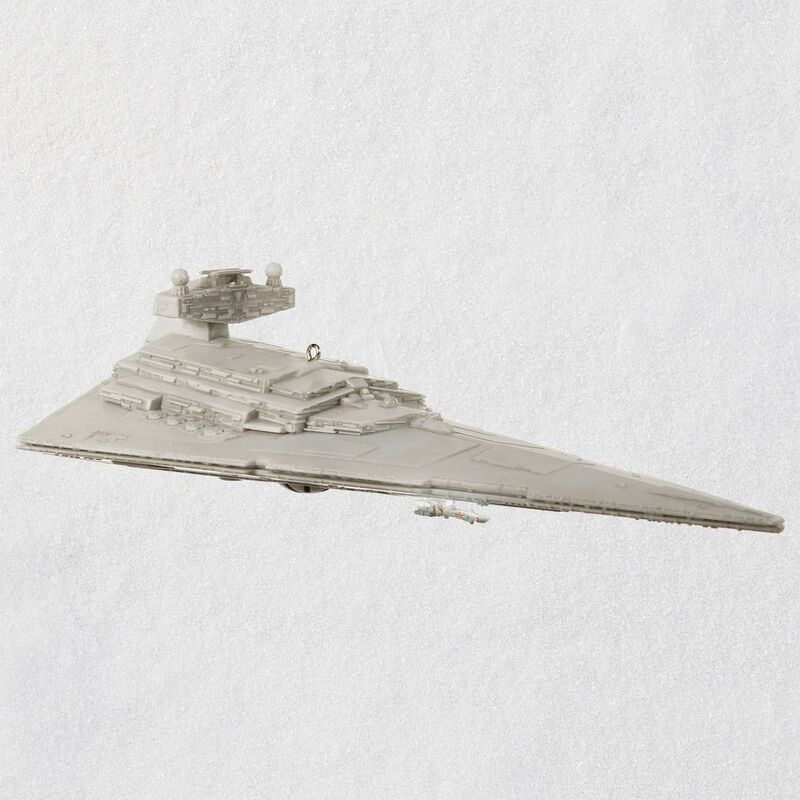 The Star Destroyer will be available on 10/5/19. Luke Skywalker from a New Hope will join the continuing series line-up. 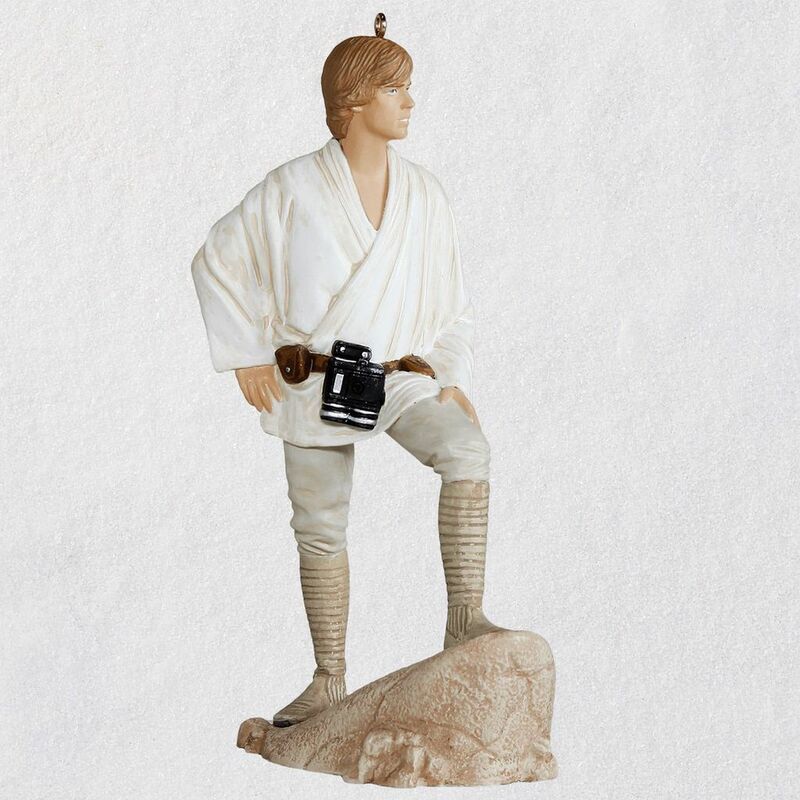 This ornament features the iconic pose of Luke staring off into the distance on the farm. It will be made available on 7/13/19 and will retail for $18.99. 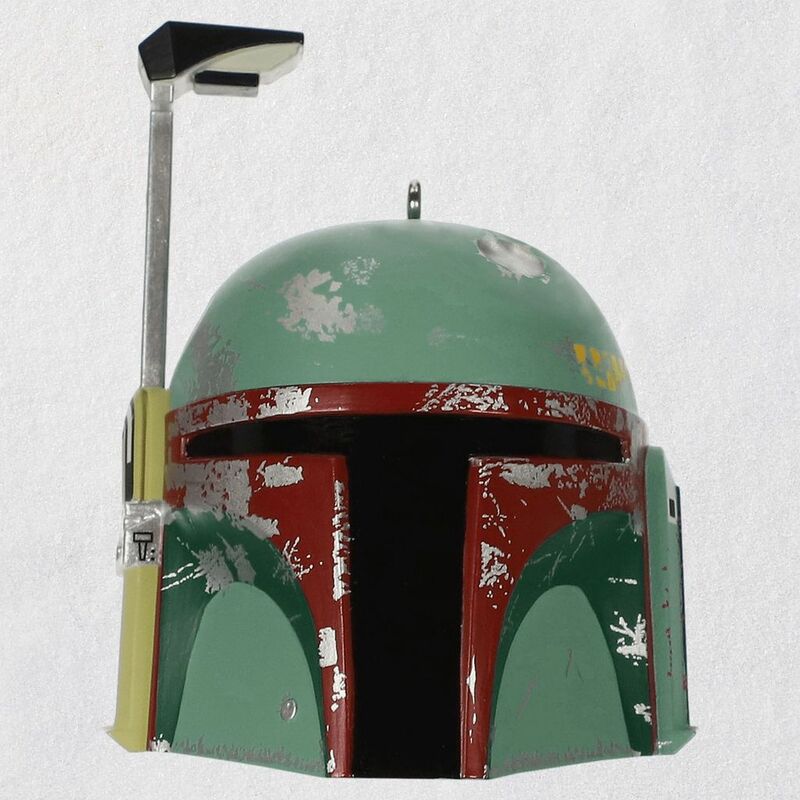 Boba Fett’s helmet will be joining the helmets with sound line. It will be made available on 7/13/19 and will retail for $19.99. 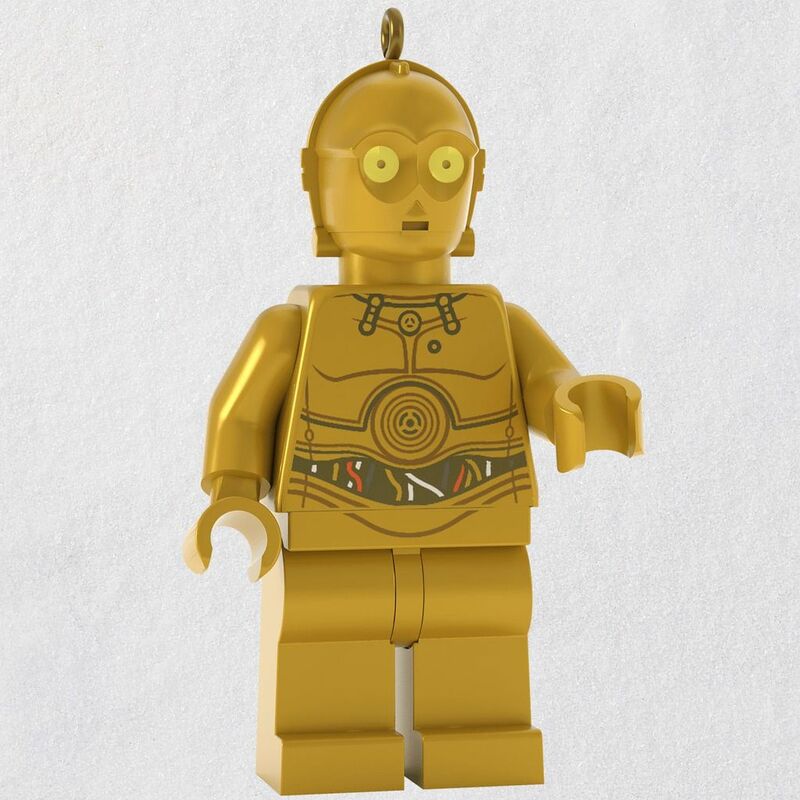 The LEGO line-up gets a couple new mini-figures with R2-D2 and C-3PO joining the line-up. They will retail for $16.99 and will be made available on 10/5/19. 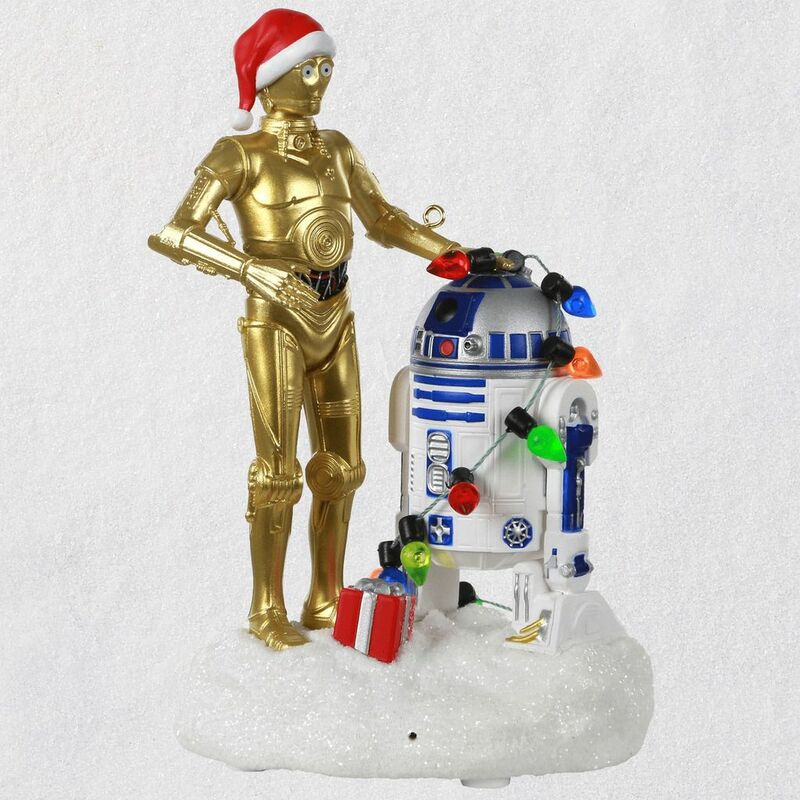 R2-D2 and C-3PO decorated in Holiday lights will be joining the Peek Buster Motion activated line. This will retail for $29.99 and be made available on 10/5/19. 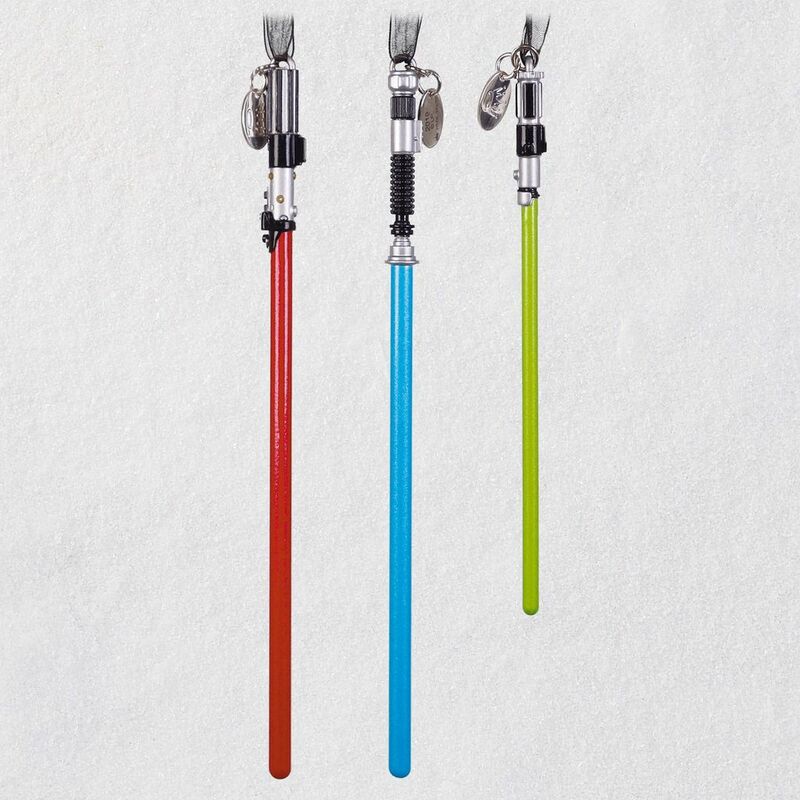 There will be a three pack of lightsaber ornaments featuring Yoda, Obi-wan Kenobi, and Darth Vader. 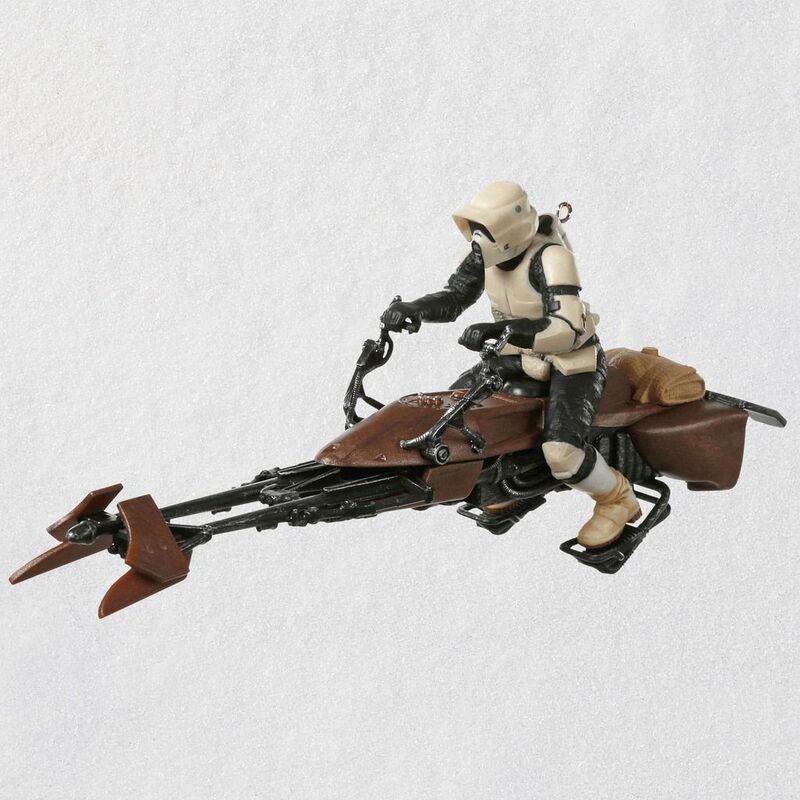 To round out the line-up there will be a Scout Trooper on a Speeder Bike from Return of the Jedi called “A Wild Ride on Endor”. This ornament will retail for $29.99 and be made available on 7/13/19. 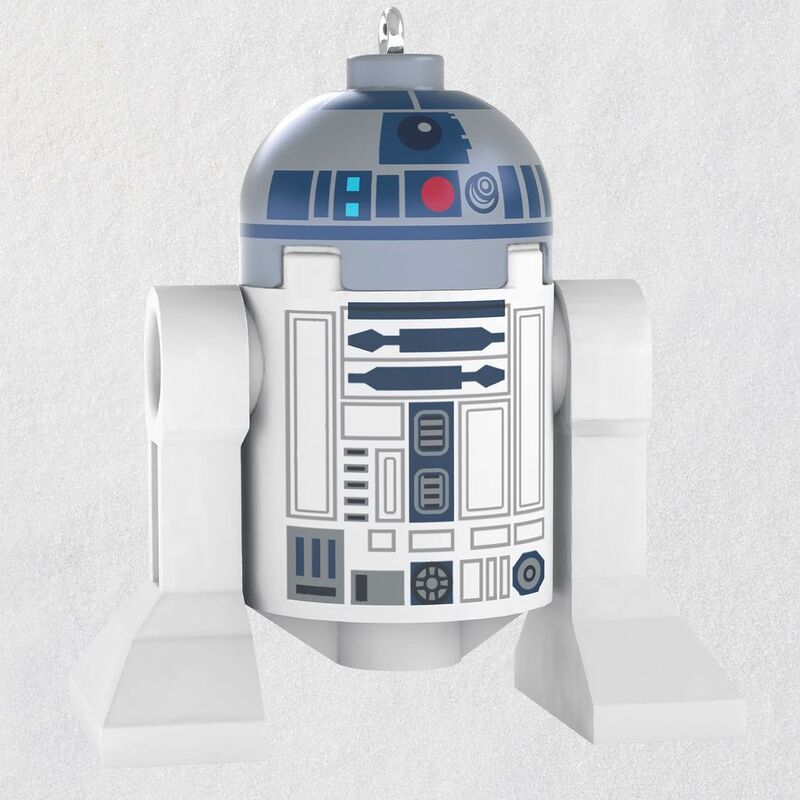 For a complete list of ornaments being made available this year make sure to check out the Dream Book by Hallmark.